La Spezia is located in Liguria and is the second largest city of the region with a population of almost 95.000 inhabitants. The city is defined by its industrial harbor and the military arsenal which claims a large amount of ground space in relation to the overall size of the city. The design of the urban waterfront in La Spezia follows the central idea of a low rise - high density estate close to the water. 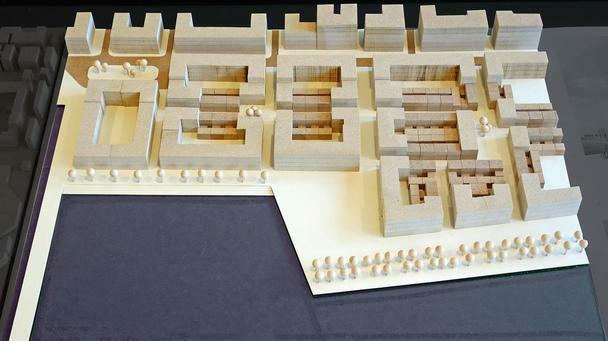 A combination of classical block-typology with smaller courtyard houses built back-to-back not only compresses the city structure but also offers space for common squares and promenades. 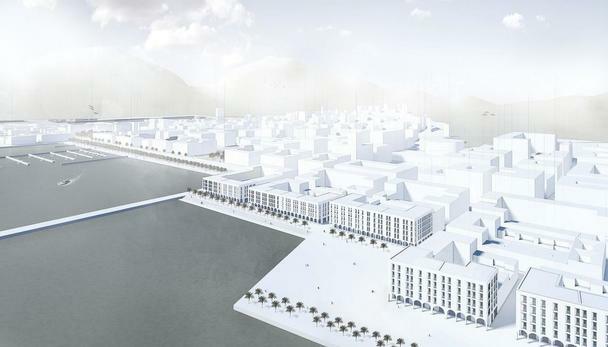 The waterfront is restructured and should be understood as an overall-concept but also as an optional module-plan. 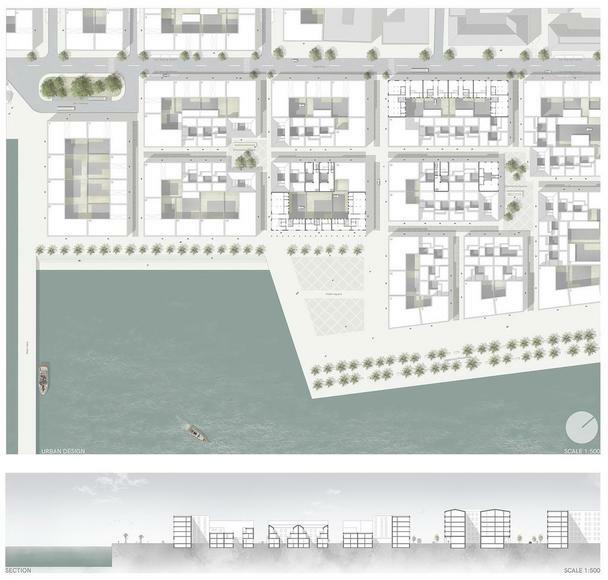 The concept strengthens the value of the waterfront, rethinks the use of urban space and attracts new inhabitants to live in an urban environment with more suburban typologies. The development is supported by a mixed use in the area. It is shaped by residential buildings, commerce, industrial and public use. 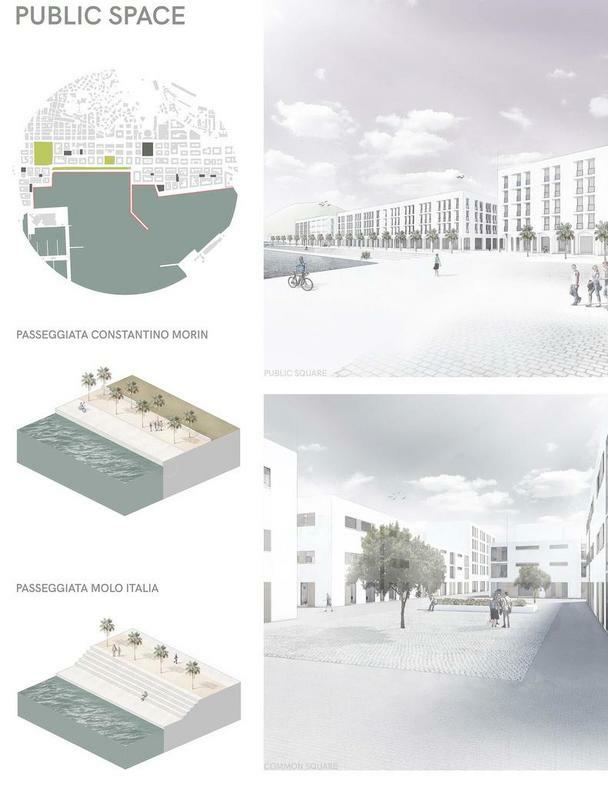 It also integrates promenades, public space and the cruise ship terminal at the former part of the industrial harbor. The connection between different parts of the city is improved through the built structure and the public space. La Spezia is a city which is of course attractive for visitors in the meditarranean area but also holds a lot of potential for growth of population, culture and industry. 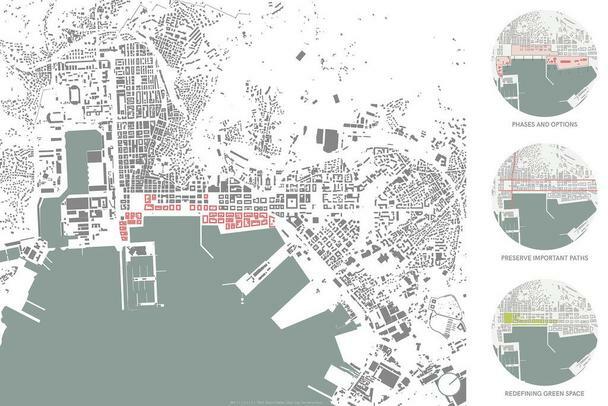 The design offers the possibility for La Spezia to grow as a city inch by inch, helps to preserve the existing qualities and generate new neighborhoods without relying on any kind of sensation-architecture. The urban concept supports a variation of different kinds of public spaces from promenades to big public squares. Even though the reduction of the greenway along the Viale Mazzini the main part of the park area in the southwest is sustained an integrated into the new concept. The Passeggiata Constantino Morin is a beautiful path along the waterfront in the very center of the city which connects the main town with the harbor site and is extended in both directions. Inside the induvial parts of the city a lot of common and public squares are integrated as places for communication and connections. While some are oriented to the water others are located more central between the low-rise buildings to strengthen the community. Along the Molo Italia a new promenade is integrated which allows relaxing and strolling down by the water. The new cruise terminal is integrated at the former industrial harbor and allows passengers to go ashore and either explore the city by foot or use the bus terminal to get to various destinations like the main station, city center, the naval museum or the ferry. In this design we decided to keep the naval museum at its current position regarding it´s connection to the military arsenal and its historical meaning. The four different types of courtyard houses are combined in a carpet system and all offer different options and combinations of living- and workspace. 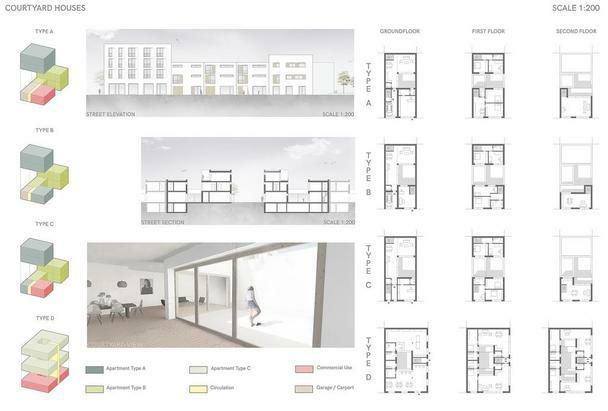 Every type offers at least two apartments of different sizes and segmentation. Type D contains four apartments of the same cut and two commercial units on the ground floor. Several types are equipped with garages or carports and an optional ground floor space for commercial use. Every courtyard house varies from three levels in the front row to two levels in the back row and a lower mid to optimize lighting of the courtyard area and the rooms that are oriented to the courtyard. The net structure that is generated through the assembly of the houses creates the feeling of a suburban estate in the very center of the city. These kinds of dwellings are identity-establishing and offer a good sense of community.